How do care fees fit with our duty to care? A friend of mine, during an unexpected visit to hospital in another EU country, had a conversation with one of the nurses about the care system in the UK. My friend explained to the nurse that older people in the UK are forced to sell their homes to pay for the essential healthcare and nursing care they need. Not only that, they are forced to hand over their life savings and everything they may have wanted to leave to their children. Good question. And it’s one that many UK families ask every day – and especially those who have come face to face with the ageist and budget-motivated funding approach that is being used by many health and social ‘care’ authorities. Healthcare, it would seem, has often lost the desire to actually care. Since when did the NHS Constitution limit free healthcare to younger people only? 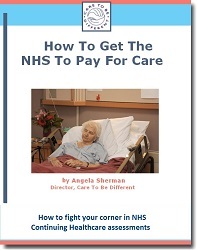 Deceit and ageism is sadly all too apparent when it comes to NHS care for the oldest generation, people who are often the most vulnerable and ill. For those needing full time care, healthcare (just like for other people) should be provided free of charge. The NHS Constitution clearly outlines this, confirming that NHS care should meet the needs of everyone, that it be free at the point of delivery and that it should NOT be based on ability to pay. One of the care funding mechanisms for full time care is NHS Continuing Healthcare. But even if a family is aware of this funding, assessments are often carried out incorrectly and health needs are ignored, resulting in NHS care funding being declined. Obstacles and delays are often put in a family’s way by the NHS and by local authorities, many families are simply told by all and sundry their relative ‘won’t qualify’ – or they are simply ‘overlooked’. The stark reality when an older person needs care is that it’s no longer their health needs that dictate what the state should provide; instead, it is what’s in their wallet. It will come as no surprise to those locked in battle with the NHS on behalf of an older relative that the free healthcare available to most people in the UK – the same free healthcare the law specifically provides for – is often illegally withdrawn when the authorities know it’s for an older person, and especially when the authorities know that person has a house. As a result, those older people are made to pay for healthcare and nursing care. The principle of free healthcare explains why long term care fees are a con. Care providers need to be paid, no question. But by whom? Nursing care is free in the UK. Logic therefore dictates that any fees charged to an individual by a nursing home for nursing care are inappropriate. Indeed, logic also concludes that there should be no difference between residential fees and nursing fees – at least not to the person needing care. Few other, if any, sections of the population are asked about money when they access healthcare, and yet older people are almost always asked to pay for care – before their health needs have even been assessed. NHS Continuing Healthcare funding has been in the press a fair bit over the last year or so, primarily in account of the questionable care fees reclaim deadlines set by the Dept. of Health in 2012. But a bit of press coverage here and there is a far cry from what’s really needed to help the wider population understand what is likely to lie ahead for their own older relatives. Many charities are now promoting the issue more widely, which is great, but still most people in the UK believe you always have to pay for care when you get old. That is, after all, what the state tells us. The issue of care fees are likely to affect most families at some point, and people need to be aware and informed – now. Instead, we have Government ministers attempting to distract people from the real issues in ‘photo opportunities’, rolling up their sleeves and being filmed visiting or ‘helping out’ in a hospital, proclaiming of course what a wonderful institution our NHS is. It doesn’t fool the exhausted families who, every day, are fighting the fierce protectionism of NHS assessors and budget holders on behalf of those they love – vulnerable older people who have already paid for their healthcare and nursing care their whole lives through taxation, and yet this cowardly healthcare system sees them as easy prey. By ordinary people spreading the word about Continuing Healthcare funding at every opportunity, we can help ensure that more people realise what’s going on. It’s important that people know their older relatives don’t necessarily have to lose their homes to pay for care. 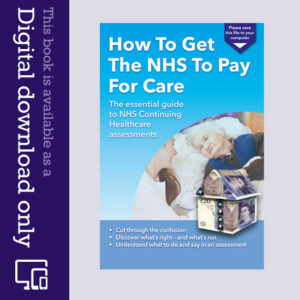 If you’re fighting a battle for NHS Continuing Care funding, you’ll find lots of useful information on our website and blog, and if you need step-by-step guidance through the Continuing Healthcare assessment process, take a look at our e-guide, How To Get The NHS To Pay For Care. It shows you what to do – and what not to do. Great article. When you an I first spoke about the help you provide to affected families I was horrified at the tactics being used by LAs and the NHS to “dodge” their responsibilities. I agree that what is required is a high profile media campaign involving not just national newspapers, but TV and radio too to raise awareness. People need to know what’s going on and how to manage their way through the minefield and injustice that occurs. So many people, I suspect, will simply accept the “you don’t qualify” response and see their assets and savings disappear needlessly. Encouraging people to write to their MP or starting an online petition which is delivered to No10 might not be a bad place to start and I’m happy to encourage everyone in my business sector to get involved and sign it. Maybe recruiting volunteer “Continuing Care Ambassadors” similar to the recently launched “Dementia Friend” campaign who spread the word through their local area or community via talks or delivering helpful guides and information. Social media would also be a great way to raise the stakes and get MPs to recognise the strength of feeling and unfairness that exists. Starting a LinkedIn group if it doesn’t already exist. You’re the expert on in terms of the way the system works (or should) but I’d be happy to lend my support in any way I can. Best regards and keep up the excellent work you do helping those fighting “the system”. Thanks Steve – yes, many families (unaware of what should actually happen) are hoodwinked into accepting the word of assessors, and so the person needing care ends up wrongly paying for everything – for care that should be free. People can have extraordinary power when speaking out against injustice – and I would urge everyone to spread the word about what goes on, so that families are aware and prepared. We all need to expose this national disgrace and “blow the whistle” on these so-called ‘CHC Assessors’ that are routinely, systematically defrauding some of society’s most vulnerable people. I am very impressed by your knowledge of the ‘minefield’ that is the NHS Care Homes Fees Fiasco! Our father sadly passed away in 2009 from Alzheimers, he also had kidney disease and chronic emphysema, he was in a ‘Residential Care Home’ who were supposed to have trained staff to look after Dementia residents, however, we found out at a later date that the staff had not qualified for the NVQ’s until after the home was registered, we got this information from the Care Quality Commission. To cut a very long story short, our dad’s lifelong home had to be sold to repay the Legal Charge slapped on the property by the Local Council, the fees amounted to a whopping £70,000 which we are in the process of reclaiming, an Independent Review Panel was held last December, and we have still heard nothing about the outcome. We expressed concern that some of the original NHS personnel were involved in the so called independent Review Panel, but it is so secretive, we are not given very much information at all. 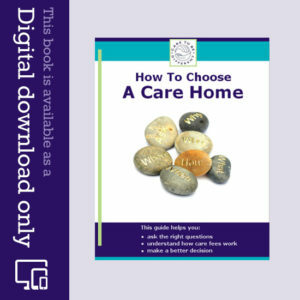 The Care Home failed to keep proper accurate daily records of our fathers health needs, for example, he was never weighed, even though he was dehydrated, and losing a great deal of weight, he was never assessed in person, only by an assessor telephoning one of the carers at the home to ‘ditto’ tick boxes on an assessment form, he was not seen in person by an independent assessor. We have continually hit our heads against a brick wall trying to reclaim the unfair charges, the massive pile of paperwork is unbelievable, and hugely stressful for any family to have to go through. The preparation of the admin for these cases must be costing the NHS a small fortune, I feel a Parliamentary Question should be raised to find out how much of the NHS has to fund the cost of challenging families who have been wrongly charged in the first place! We do not hold out any hope of a successful outcome of the Independent Review Panel, purely because of the involvement of the other NHS members who have previously turned down the claims for retrospective refunds. I guess our next steps would be the Ombudsman, any advice gratefully received. We are at our wits end and totally exhausted by it all. Many thanks Angela and anybody else who can advise. Thanks for your comment. We hear of increasing instances of assessors trying to get away with just making a phone call instead of carrying out a proper assessment. It’s clear that this is designed to save time and money – and that the needs of the person being ‘assessed’ will inevitably be disregarded. You also make a good point about the cost of all the obstruction and delay. Regarding IRPs, you may find this article of interest: http://caretobedifferent.co.uk/nhs-continuing-healthcare-independent-review-panel/ An IRP normally takes about 6 weeks to respond with the outcome.